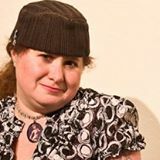 On Sunday, March 18th from 12-2pm, join Left Coast Writers® Live on FCCFREE RADIO’s popular show, Lilycat on Stuff. Lilycat’s guest on Sunday will be Chris Cornell. Chris Cornell’s short fiction has appeared in Penumbra magazine, The City of the Future, Another 100 Horrors and other anthologies. He is a co-host of the Unreliable Narrators podcast and the writer and producer of the audio drama, E’ville.